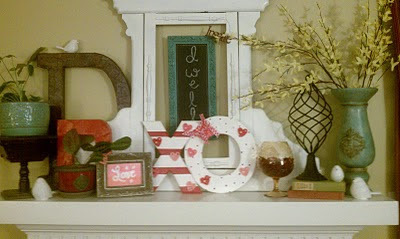 i'm not usually one for decorating for valentine's day, but there have been so many cute ideas floating around blogland i couldn't resist! plus, i went on an impromptu trip to joann's the other night and the wood letters were on sale...as were all the valentine embellishments and other goodies...it was practically meant to be, right? so this is what i came up with...not much, but it's a start. 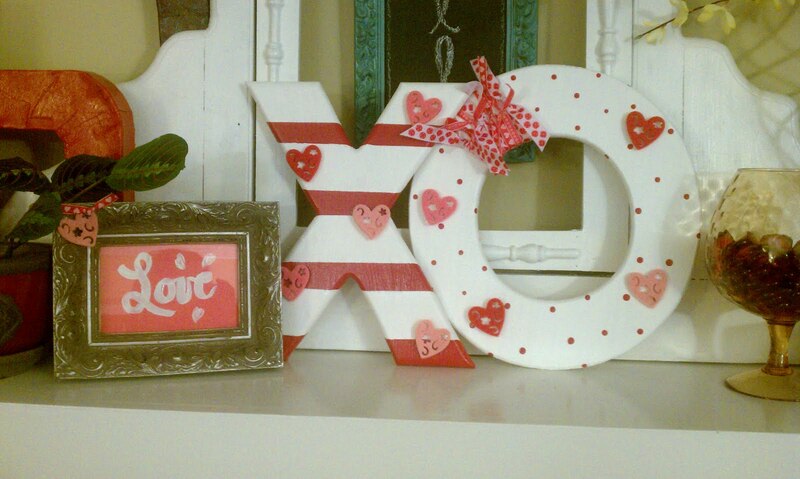 just a couple of wooden letters painted white, then stripes for the x (using painter's tape) and little dots for the o (using the cap of a pen), a picture frame i had on hand (with a peice of cardstock, painted free-hand), and voila! right now they are living on the mantle...but after looking at this picture, it's getting kind of crowded up there, so i may move them, but i may not...we'll see! are you a brave girl?